According to Mario Bedescu Skin Care Inc, hyperpigmentation is characterized by darkening of the skin caused by the overproduction of the skin pigment, melanin. While hyperpigmentation is usually harmless, it can be a blow to your self-confidence, especially if you're a woman who has otherwise healthy and well-maintained skin. The condition can affect any part of the body including the face, hands and neck--and it's most prevalent in people of color, who naturally have more melanin. What are some common causes hyperpigmentation? 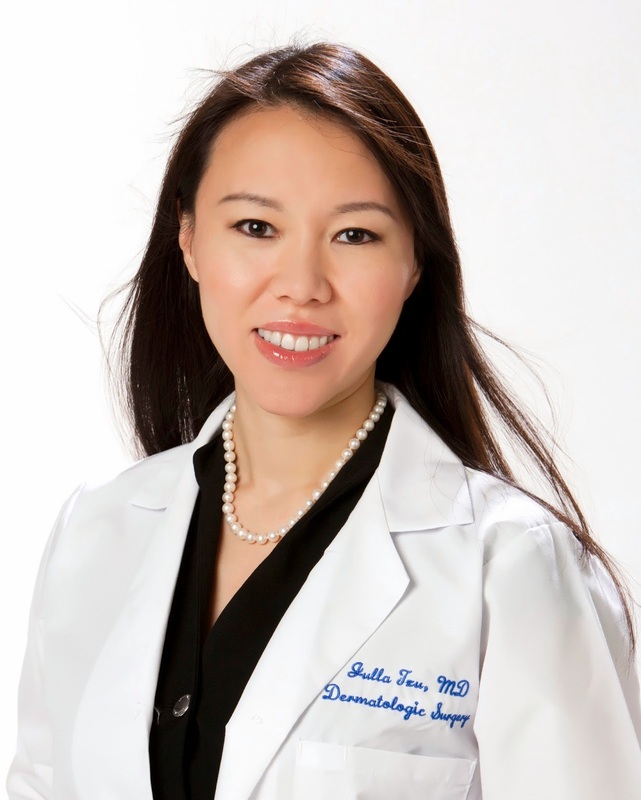 Dr. Julia Tzu, founder and medical director of Wall Street Dermatology in New York City says her recommended course of treatment for hyperpigmentation depends on the cause. "Common reasons for hyperpigmentation include melasma (patches of brown on the cheeks and forehead), sun spots, and postinflammatory hyperpigmentation (pigmentation that is left after a bout of skin inflammation, such as a rash or acne)," Dr. Tzu explains. "For these common types of hyperpigmentation, there are two main options: topical lightening agents or lasers. Topical lightening agents include products that contain hydroquinone (bleaching cream), azaleic acid, kojic acid, and vitamin C. These need to be applied for a duration of time before any noticeable improvement occurs. Chemical peels can also produce some improvement in hyperpigmentation." The double board-certified dermatologist says, however, "lasers are a much more effective way to selectively target only the darker areas of skin." Dr. Tzu uses Q switched lasers to eliminate cells with excess pigment. "One treatment produces immediate lightening (in one week) in exactly the desired areas, although multiple treatments may be required depending on the level of hyper pigmentation," she says. For African-American clients, whose skin can be extremely sensitive to laser treatment, Dr. Tzu still uses Q switched lasers, but "at the right wavelength and different parameters." hyperpigmentation, including the highly-effective Dr. Murad's Rapid Age Spot and Pigment Lightening Serum, which contains hydroquinone.